An Opinion On Sports: Urban Meyer: "It Was a Big Deal"
Urban Meyer: "It Was a Big Deal"
Florida coach Urban Meyer seems to still have that 'brier' under his saddle. That 'brier' I'm referring to was the full blown, full team, full excessive celebration by Georgia after the Dawgs first touchdown in last year's Georgia-Florida game. (That's right, the GEORGIA-Florida game, not vice-versa)! Meyer says it wasn't right , it was uncalled for, and it was against the rules. Georgia is 15-3 in this series since 1990 and he thinks it was uncalled for? I always thought that drastic times called for drastic measures. With that ego of his, he probably doesn't like it because 1) he didn't think of it first and 2) he and his Gators got their tails kicked by a bunch of hungry Bulldogs. Hold on for a second. Let's go back to those series numbers for a closer examination. I related the 1990-2000 numbers above, but in the 1970s-1980s Georgia owned a very similar 15-5 advantage over the Reptiles. 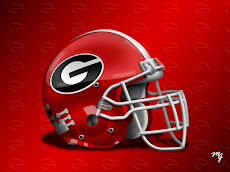 And furthermore I might add, the University of Georgia leads the series 46-37-2 overall. Wikipedia don't lie, Baby! Now back to "Urban- Renewal". He says the celebration will stay with him forever, but he'll handle it. Further he states, "it is going to be a big deal". Is that a threat or "reverse motivation"? (Reverse Motivation: you think I just coined a new phrase? Wow!). Do you think the 'excessive celebration' would have made it into his new book, which I will not plug here, if Florida had won the game? No way. I believe for the "Dawg Life" in me that he knows Mark Richt got him on this one and he can't stand it. He is probably somewhat concerned about what 'Mr. Motivation' might come up with this year down in Jacksonville. Since Coach Richt put down that offensive play book, he's been a near genius at pushing the right buttons to get his team to respond to big Saturday situations. I suppose at times, emotions are more important than getting the perfect play called on third down. After all, a huge part of the game is played from the shoulder pads up. 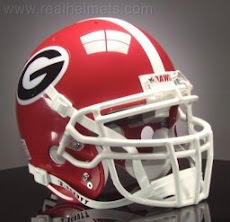 Nevertheless, it's nice to know Coach Meyer will always keep that UGA 'brier' under his saddle. 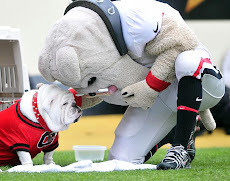 Maybe the Dawgs will even put a lot more under there for him. Sanford Stadium: "Top 10 Toughest"
Brian McCann: All the Tools of the Trade! Just How Well Do You Know College Football? Jason Taylor - A Fish Out of Water! Lou Pinella: Don't Look Back! Matt & Jon Stinchcomb: "Countdown to Kickoff"
Durant Brooks: It's Signing Time! Knowshon Moreno: How "Sweet" It Is! Josh Hamilton - What a Show! 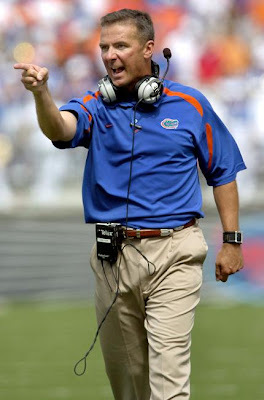 Rich Rodriguez: From Hire Me to Help Me! Nadal -vs- Federer: One For The Ages!